Salivary Glands – What’s Normal? What’s Abnormal? They all secrete saliva into the mouth: the parotid through ducts near the upper teeth, submandibular into the front portion under the tongue, and the sublingual through multiple ducts in the floor of the mouth. Secondary infection of salivary glands from adjacent lymph nodes also occurs. These lymph nodes are the glands in the upper neck which often become tender during a common sore throat Many of these lymph nodes are actually located on, within, and deep in the substance of the parotid gland, near the submandibular glands. When these lymph nodes enlarge through infection, this is noticed by the patient as a red, painful swelling in the area of the parotid or submandibular glands. Lymph nodes also enlarge due to tumors and inflammation. The most common salivary gland infection is mumps, which involves the parotid glands. While this is most common in children, it can occur in adults. However if an adult has swelling in the area of the parotid gland on one side, it is more likely due to an obstruction or a tumor. Infections occurring because of ductal obstruction or sluggish flow of saliva have already been mentioned. Primary benign and malignant salivary gland tumors usually show up as painless enlargements of these glands. Tumors rarely involve more than one gland and are detected as a growth in the parotid, submandibular area, on the palate, floor of mouth, cheeks, or lips. These enlargements should be checked by an otolaryngologist-head and neck surgeon. Malignant tumors of the major salivary glands can grow quickly, are painful, and can cause loss of movement of part or all of the affected side of the face. These symptoms should be immediately investigated. Salivary gland enlargement is also seen in auto-immune diseases, which cause significant inflammation. Patients often have a dry mouth or dry eyes. This may occur with other systemic diseases such as rheumatoid arthritis. Diabetes may cause enlargement of the salivary glands, especially the parotid glands. Salivary gland swelling (usually on both sides) is also seen in alcoholics. In many cases a fine needle aspiration biopsy in the doctor’s office is helpful. The accuracy of this test is approximately 80% to 90%. An open biopsy, where a skin incision is made and a small sample of the gland removed, is not usually recommended in the office. This is an incisional biopsy and because of the possibility of injury to underlying nerves within the parotid gland may need to be done in the operating room. The same general principles apply to masses in the submandibular area or in the minor salivary glands within the mouth and upper throat. Benign diseases are best treated by surgery alone, whereas malignant diseases may require surgery and postoperative irradiation. If the mass in the vicinity of a salivary gland is a lymph node which has become enlarged due to cancer from another site, then obviously a different treatment plan will be necessary. 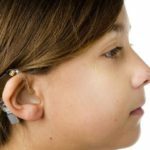 Such treatment can be very effectively directed by an otolaryngologist-head and neck surgeon. Take the first step towards a healthier lifestyle. Make an appointment at Arkanasa Center for Ear, Nose, Throat, and Allergy for an evaluation today. ©1992. American Academy of Otolaryngology-Head and Neck Surgery, Inc. This leaflet is published as a public service. The material may be freely used so long as attribution is given to the American Academy of Otolaryngology-Head and Neck Surgery, Inc., Alexandria, VA.